I am sharing a card i made with you today with some left overs from another project. 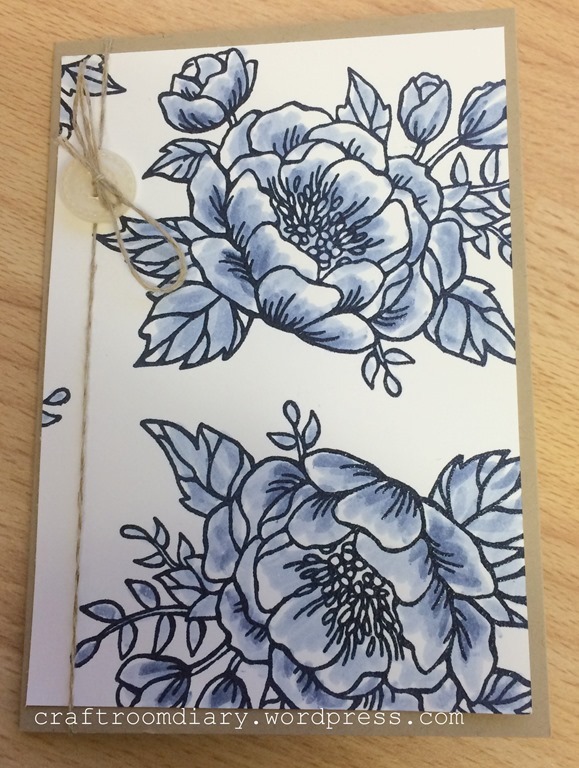 I had stamped and embossed a whole sheet of A4 using this lovely big flower stamp from Stampin’ Up!. I coloured it using a blender pen and my navy ink pad. This bit was left over from my other project so i quickly trimmed it to size and stuck it to a notecard finished it off with a bit of twine and a button. That’s one ready for the box for when i need a card next; i always keep a few packs of blank note cards on hand for just this reason so that i can quickly use left overs before tidying away.